McGlinchy was a brewer and prominent Irish immigrant. 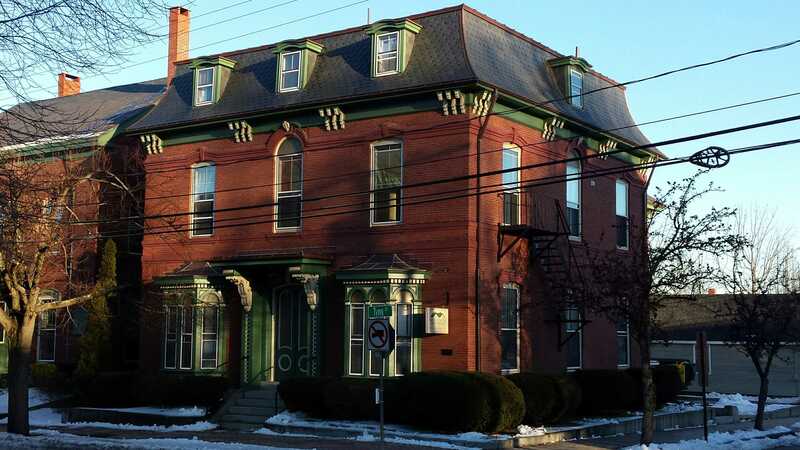 A fairly straightforward brick Mansard with some intriguing details. The entry is via double round topped doors under a small roof held up by some very overscaled brackets. These rest on simple pilasters with an inset pattern of interconnected circles. The home has other interesting features. Several belt lines wrap the building with the line at the second story ceiling being especially well detailed. Another notable feature is the tall, arch topped, window in the center of the two primary facades. It penetrates the upper belt line and architrave with a muscular bulge. This bulge is repeated, in a reduced manner, in the other windows on this level. The windows are interesting for their trim. Sitting in simple cut openings, they have no sill or side casings. They have aprons on the first floor only. 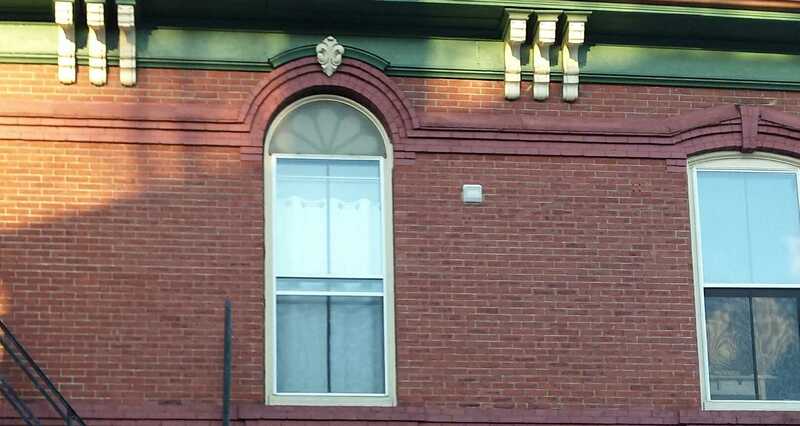 All the windows have elaborate hoods in brick. They all have prominent keystones. 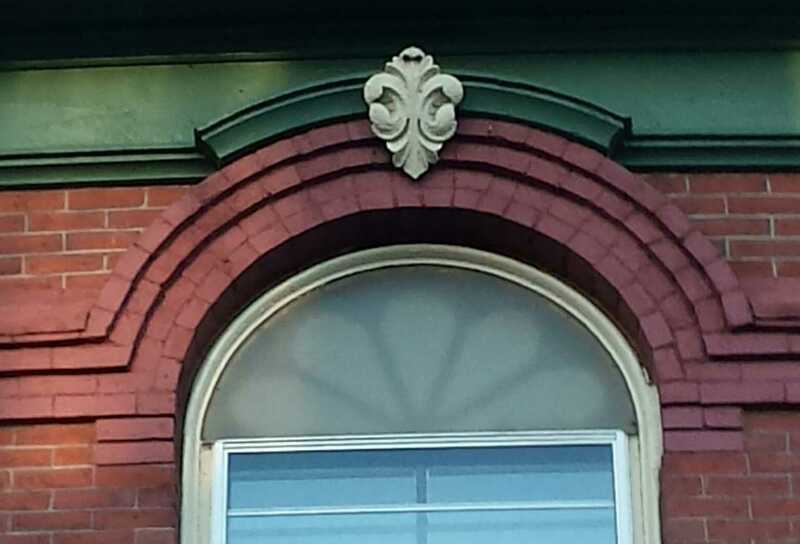 The center second story windows of the primary facades have floral bosses over the keystones. The architrave is compressed and practically disappears under the cornice. 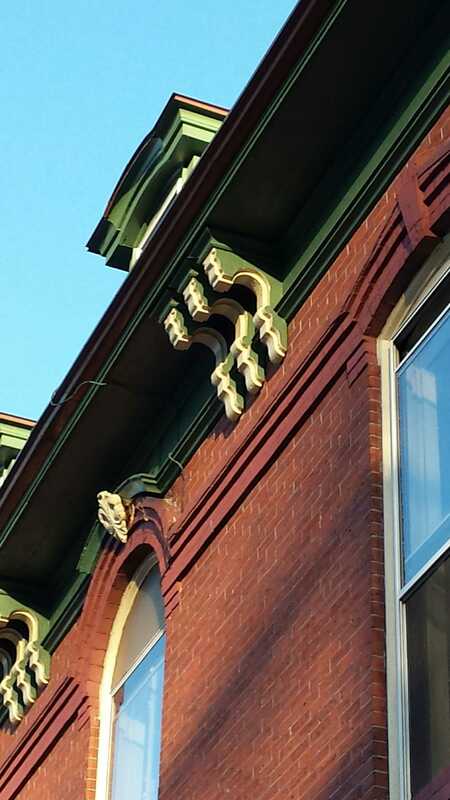 Elaborate triple brackets liven the space and reduce the looming quality of the cornice. It is these brackets, the window treatments and the overall cohesiveness of the mansard design that lead me to believe it was designed by Thomas Cunningham. He is an architect we have not met yet but we will see more of in the future. 158 Danforth in 1924. Note the cupola that no longer graces the roof. The owner of record in 1924 was listed as the Roman Catholic Bishop of Portland. This is interesting in that the deed history does not mention the bishop at any time. It does show the Jewish Home for the aged as owner for a brief period in the 1950s. The current owner is a real estate firm. 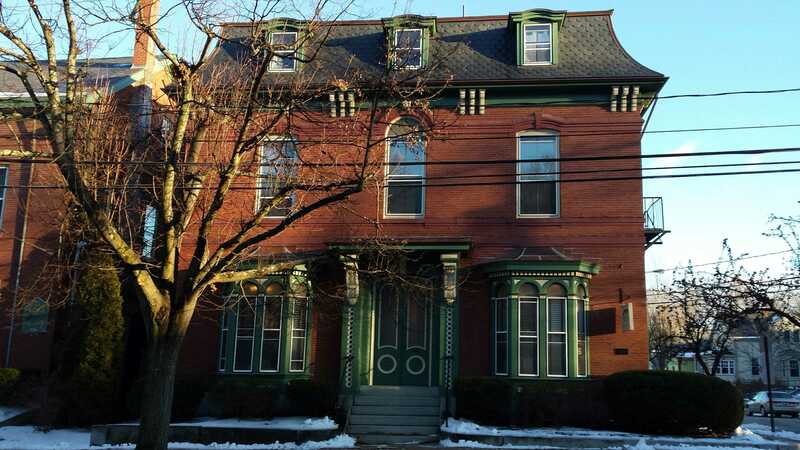 This entry was posted in Architecture, Brick, Danforth Street, History, Images, Mansard Style, Thomas Cummings and tagged Architecture, Brick, History, images, Maine, mansard roof, Portland on January 26, 2017 by alewifecove.